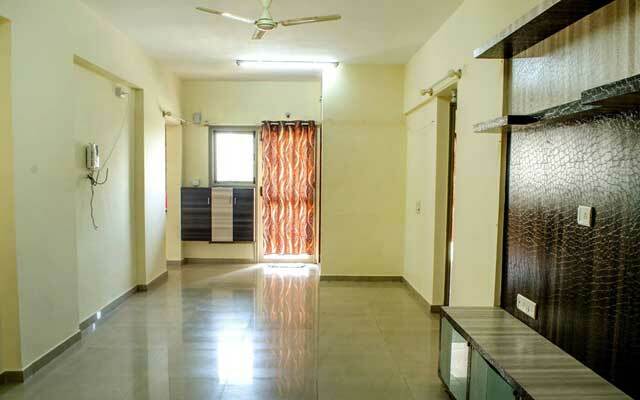 Mumbai-based Cryptopy Technologies Pvt Ltd, the company behind broker free rental accommodation listing platform Grabhouse.com, has raised $10 million (Rs 65 crore) in a Series B round of funding from its existing investors, Sequoia Capital and Kalaari Capital, the company said on Thursday. This comes barely 10 months after it bagged $2.5 million in its Series A round of funding. In July 2014, the company had raised $500,000 in pre-Series A funding from India Quotient. Prior to that, it had raised an undisclosed amount in seed funding from India Quotient and MV Krishnan of Deutsche Bank. It had earlier also secured an undisclosed amount from RB Partners' Chetan Bohra and Navin Ranka. The fresh funds will be utilised to strengthen its presence in the 11 existing cities besides beefing up the technology infrastructure. "The Grabhouse marketplace model connecting seekers directly to house owners and allowing them to transact without a broker is a superior and more efficient solution. This has been validated by the terrific response the company has received from the market, leading to a leadership position in the broker free rentals and shared accommodation space in a short period of time," said GV Ravishankar, investment advisor at Sequoia. "Renting space in India is in need of some revolutionary thinking and measures to make house hunting a joyous experience. Grabhouse, through a combination of technology and smart analytics, is addressing that need," said Vani Kola, managing director at Kalaari Capital. Founded in July 2013 by Prateek Shukla and Pankhuri Shrivastava, Grabhouse says its USP is the absence of middlemen or brokers and solving rental issues through technology. Apart from the portal, the firm also offers an Android app to enable owners to list their properties directly on the website and keep track of interested people. It also lets one take a compatibility test with prospective roommates and leverages information shared on social media for the same. Of late, several online platforms for brokerage-free rental listing have attracted investor attention. In August, Zocalo.in raised seed funding from startup accelerator GSF's Rajesh Sawhney; MakeMyTrip co-founder Sachin Bhatia; WebChutney co-founder Sidharth Rao; Mahesh Parasuraman, former managing director of the Carlyle Group; Dheeraj Jain, partner with a UK-based hedge fund and others. Previously, Bangalore-based Nestaway Technologies Pvt Ltd, which runs an online home rental marketplace for singles by the same name, raised Rs 76 crore (approximately $12 million) in funding from consumer e-commerce venture Flipkart and its investor Tiger Global. In February this year, Bangalore-based NoBroker Technologies Solutions Pvt Ltd, the company which runs a peer-to-peer property listings site for renting homes under NoBroker, raised $3 million (Rs 18.6 crore) in Series A funding from SAIF Partners and Fulcrum Capital. The online real estate sector has been a hotbed of activity. Magicbricks, 99acres, Housing, CommonFloor, PropTiger and QuikrHomes, among others, are vying with each other for a slice of online realty pie. Indeed, the sector is also set for consolidation with Quikr being in the last lap to acquire CommonFloor.